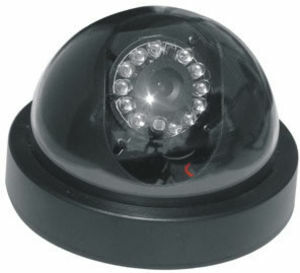 This unique day/night dome incorporates a 1/3" SONY CCD chip, which automatically switches from color to black & white in low-light conditions. It comes with high-power LED's to enhance low light viewing and allows you to see up to 20 feet in total darkness. Dome is 4" in diameter.